Treat your friends and loved ones this Christmas with one of our vouchers for a fantastic portrait experience. These vouchers are valid for a family or dog portrait experience at our studio, including a bespoke cinematic viewing experience. 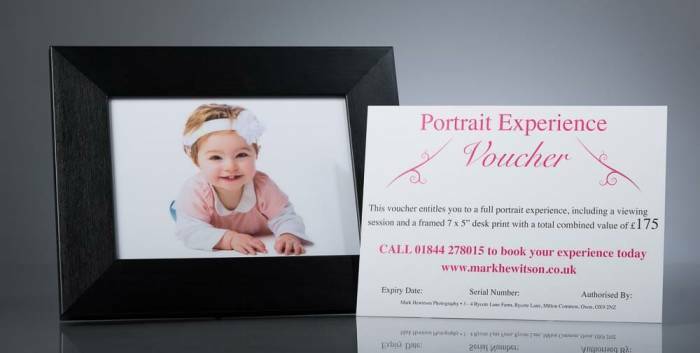 Also included is a beautifully framed 10×8″ desk portrait of your favourite image worth £125. Total combined value of this voucher is £225. Voucher is valid for 90 days from date of purchase.